Hypnosis for fertility is a great tool for patients undergoing fertility procedures prior, during, and after their fertility procedure. Time goes by and nothing happens. Each month the tension grows more, and brings anxiety and fear. Then you know something is not right and you might be experiencing infertility. Your mind is convinced that you might be infertile, and start creating all the possible escenarios of the event. The thoughts are filled with uncertainty, and is scary just to imagine the visit to a fertility doctor. You talk to family and friends who tell you everything about their great stories of how easy and fast was for them to conceive. Then you become certain that something is definitely happening to you with your fertility. It’s definitely compromised. At this point you can’t sleep or work without thinking about the uncertain future, and even have visions of you being childless. At least you have lots of friends. But they also have their lives. Not an easy one really. Well it is not. Every day thousand of couples worldwide are discovering they have been reproductively challenged. And they too believe to be the only ones in this journey. They all go through the same feelings, worries and uncertainty of what is coming next. People is always talking about knowing someone who know someone having difficulties conceiving a baby. That is very common today. And now you might be one of them. So many thoughts cross your mind, and by the time you finally visit the fertility clinic things are so blurry and complex that you end up not even remembering 10% of what was discussed with your doctor. It is very frequent for fertility patients to forget information already provided, and to ask the same questions about their procedure over and over. The whole fertility procedure can be complex, but the uncertainty and doubts make things more difficult to understand. Why me? (that is the usual question). There is a whole story involved with starting the journey of fertility. Does any of this seems familiar to you? Do you relate to all or some of these situations? Have you felt the urge to know everything, but as more you know it makes things more confusing? Do you feel that if you are not successful on your first attempt then you won’t be going through the same a second, third or even fourth time? Have you felt the information provided by your doctors is complex and difficult to understand? Every time you feel doubts and fears about your fertility, the cells of your body become more ill and incapable of regenerating properly. That is how most diseases start. Did you know there is a way to make a direct impact into the cells of your body and regenerate them using hypnosis? There is a way. The conscious mind will allow the subconscious to listen to everything happening around and to embrace the situation. You need to take some time for yourself and believe there is a long-lasting technique that can improve your health, and fertility. Increasing your chances. A not-miss opportunity. Have you really tried to convince your mind that everything would be OK if you command the cells of your body? A healthy lifestyle can make wonders in fertility. A good low carbohydrates eating-habit, and the right amount of exercises make a huge contribution into your present or future procedure. However, people can follow a healthy lifestyles and still having difficulties with their fertility. A research made by Dr. Elizabeth Muir in London concluded that 45% of women with unexplained infertility were able to conceive and carry the pregnancy full term. She said: “Hypnotherapy is particularly successful in the area of fertility, and enable us to access the subconscious issues, which might be related to fertility. Very often an individual is not aware of those issues. With the skilled use of hypnotherapy, a subject is helped to elicit her own individual ability to resolve her specific issues of fertility”. Psychosomatic disharmony could be related to physical malfunction in the body. The subconscious mind may be an overlooked factor in the treatment of infertility. Stress can have a big effect on fertility. Stress hormones affect the hypothalamus and pituitary glands and reproductive organs. In women under stress, the reproductive hormone prolactin is over-produced and this can interfere with ovulation. The hypothalamus stops secreting gonadotrophin hormone, which in turn will affect the release of both the luteinizing hormone and follicle-stimulating hormone. As these hormones stimulate ovulation – fertility is affected. In Vitro Fertilization (IVF) can be difficult for many couples, and in occasions the results might not be encouraging and tend to increase the stress levels. As a professional in this field, I know exactly how to address patient’s going through this challenge. It can be difficult and scary at the same time. Because the patient believe that has not control over anything during the procedure, and that everything is done by the team of doctors and scientists involved in the case. This is not absolutely true. The patient has a lot to offer, and the quality of the cells, together with the thought and belief of success, play a really important role during the procedure. 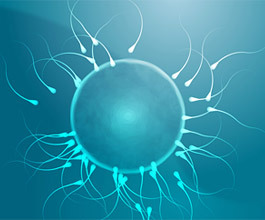 Hypnocell® has developed a program focused on the subconscious mind of fertility patients. Going deep into the root of the problem, and addressing the possible causes to correct the cells to increase the chances of success. To set an appointment for consultation and personalised program you can access here. To access the hypnosis-meditation sessions for fertility patients access here.